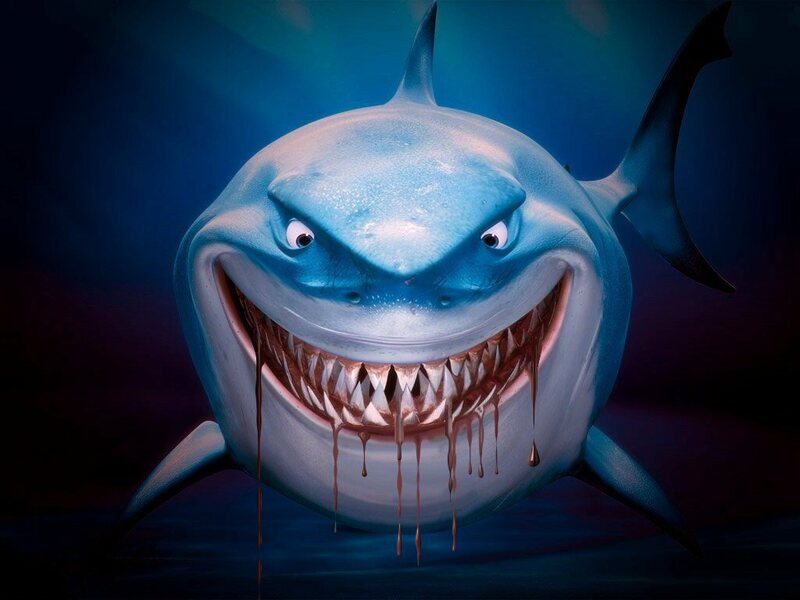 You watch the trailers, you read the reviews and you think you know what you’re getting when you walk in the theater. Not so with Nicolas Winding Refn’s Drive. Case in point, when I went to see it over the weekend, there was a group of rowdy teenagers in the back, probably 15-17 years old. I thought for sure we were going to have problems with them, that I might have to see Drive again because a bunch of kids ruined it (I’m still mad at Sasha The Crying Baby for wrecking Iron Man). Not so with Drive. The opening scene is so tight and tense that those kids shut the hell up and remained quiet throughout the rest of the movie. Whatever they though they’d be seeing when they bought tickets, Drive turned out to be something different. I know it wasn’t what I was expecting. At all. Drive is not mandatory viewing. If I’m recommending a film for enjoyment purposes, I’d go with 50/50. Drive is a dense, tough film that gives little in the way of exposition to help viewers unwind what we’re seeing. You have to work in this film. You have to think (which is probably why it scored so low with audiences—people don’t like to think at the movies). What caught me off guard about Drive wasn’t the plot or the characters or even the staggering violence—it’s not wall to wall but when Drive gets violent it gets really VIOLENT—it was the love story. Yes. That’s right. 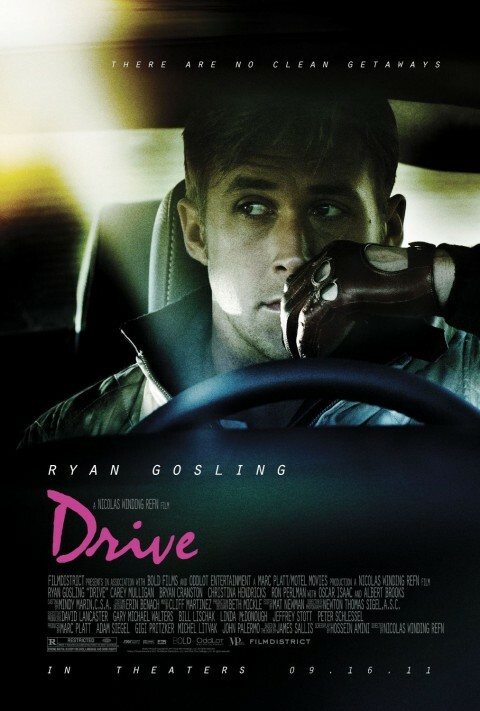 Drive is the best love story I’ve seen at the movies in a long time. I know! I was totally surprised. The marketing made clear the story involved the nameless Driver (Ryan Gosling, in a crazy good performance) and his neighbor, Irene (Carey Mulligan, employing her big brown eyes to great effect). That there was some romance was a given, but that it would be so much and so beautiful was completely shocking. Irene, and her son Benecio (newcomer Kaden Leos), aren’t just the best part of the Driver’s life. They are his life. For the brief time he’s with them—even though he’s never really “with” Irene—his entire world is Irene and her son. When he loses Irene, your heart just breaks. Not because she’s gone—she was never his in the first place—but because it’s so clear that the Driver always expected things to go this badly. He never fights to keep Irene or to win her, just to save her. There’s a huge difference. Screenwriter Hossein Amini (Killshot, The Four Feathers) deserves a lot of credit for parsing out dialogue in such a way that a little says a lot. Gosling has maybe thirty lines in the whole movie, most of which consist of “Okay” and “I don’t mind”. Amini’s screenplay is an example of barebones storytelling that gives just enough to be getting on with and wastes no time on anything more. There’s some talk that a previous draft of the script had a lot more exposition, including the Driver’s backstory, but none of it made it into the movie. I’m totally fine with that. 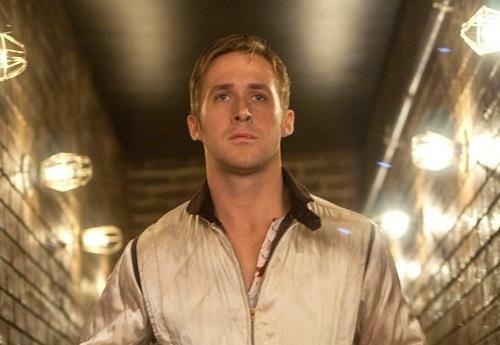 Between Gosling’s portrayal of the character and Refn’s direction, you don’t need backstory. We can infer enough from what we are given. Information is embedded carefully; in one scene Irene’s newly-paroled husband recounts how they met, and in his brief story we gather that Irene made a dumb mistake when she was still a kid, that Irene has regrets at a young age, and that her husband, Standard (Oscar Isaac, Sucker Punch), is a creepster. It takes ninety seconds to run down a complicated family dynamic. Perfect. Working off of Amini’s script, Gosling delivers a contained performance that is all the more frightening for its silence. The Driver never raises his voice. He barely speaks. Most of his communication comes through smiles and head nods. 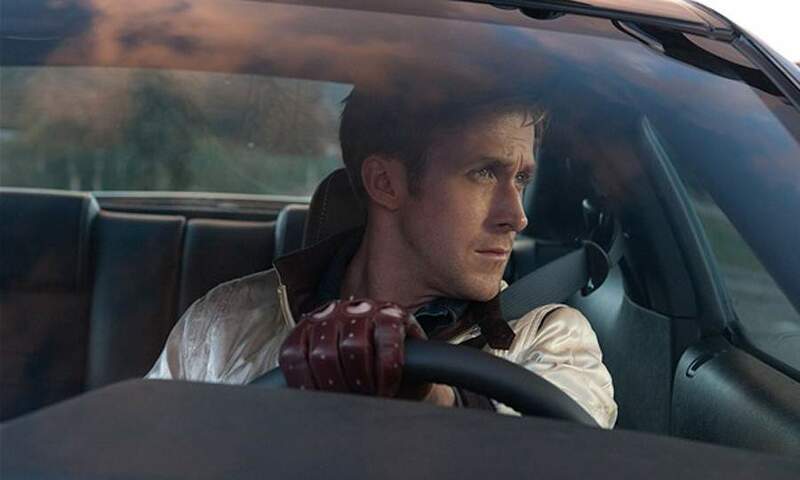 We might not have seen the Driver’s backstory on screen, but it’s clear that Gosling has. His characterization seethes with the unsaid. I walked away with the impression of a dog kicked one too many times. It wants to be friendly but life has taught it to expect the worst and shy from a touch, even a kind one. The Driver’s life is lonely and depressing, time split between working at a garage with a perennial loser, Shannon (Bryan Cranston, Breaking Bad), stunt driving for movies, and serving as a wheel man for criminals at night. Shannon borrows money from a gangster (Albert Brooks in what could be an Oscar-worthy turn) to set the Driver up as a NASCAR racer—at no time does the Driver appear to believe this will actually happen. Gosling’s work in this movie kicks his career up a notch and it should be ranked as one of the best performances of the year. Still, the biggest debt goes to the director, Refn. He won the best director prize at Cannes and it’s no wonder. This is a masterful job. The opening sequence is suspenseful and so well-edited I wanted to scream (tip o’ the cap to editor Mat Newman, who previously worked with Refn on Bronson and Valhalla Rising). Refn employed a synthesizer score reminiscent of the 1980’s, neon lighting and bright gold daylight washes—I had the thought that this is what Michael Mann wanted to achieve with his Miami Vice update. The effect is both stylish and bare. Everything is a little worn down and looks worse in that bright California sunlight. The use of split screens almost made me roll my eyes but it worked within that retro ’80’s vibe. The high style of the film only underscores its emotional sparseness. For something so slick you’d expect there to be more but the only time Drive goes big is when someone is getting their head blown off with a shotgun. Drive was a more difficult film than I was expecting. It was denser, more obtuse than I thought. It’s a violent, stylized crime noir that also happens to be a deep and satisfying, if ultimately unfulfilled, love story. It was kind of depressing, yet stripped of almost everything else, the animal will to survive becomes the “winning” moment of the movie. It’s not going to be for everyone. Even die-hard fans of The Gos might have a hard time with it. For a movie that operates with a skeleton crew for storytelling, it’s a deep, provoking story. It takes time, and probably multiple viewings, to process. You almost can’t believe what you’ve seen when it’s over. It’s unlike anything I’ve seen this year. Did that really just happenDriveHossein AminiNicolas Winding RefnRyan GoslingVIOLENCEWhy doesn't that guy have any eyebrows? I’m not sure I can watch Drive again, but it’s one of those movies I won’t forget. Lainey has talked about the elevator scene several times. So I tensed up when the Driver and Irene were just talking outside. Still the scene stunned me, nothing more so than that final look exchanged between Irene and the Driver. In Irene’s silent, dismayed shock, the tragic nature of the love story became clear for me, that this man whom she’d thought so gentle and sweet was capable of such seething violence. This is a great review, I’ve tried explaining the movie to friends but have fallen short. I’ll be referring them to this so thank you! Damn I wish I wasn’t so broke so I could watch it again. For the first half of the movie I was so busy drooling over Ryan I totally missed the plot. From what I remember it was really good. This review perfectly encapsulates what I felt when watching the film. I liked it, really liked it, but can’t imagine myself recommending it to anyone. How do you recommend a film like this? I feel like this is a film that is appreciated for all of the ways that it is not like any other film, and to really get that you have to be aware of all the other films. Essentially, this is a film for people who love movies, who see a lot of movies, and who can appreciate how different this one is. Gosling was great, as always. I don’t think this role was a stretch for him in any way (he’s maybe the best actor working today at portraying the internal life of a character through very sparse dialogue and expressions), but he was great. I initially thought Carey Mulligan was woefully miscast until that speech made by her husband, when you understood why a woman like her was in that life. Supporting characters were great. I was surprised by the love story, too! I love what you said about the Driver’s perspective on his relationship with Irene. This might sound corny, but when he kissed her in the elevator I thought, “He’s leaving the best part of himself with her, and he’s probably never going to see her again.” I continue to think about this movie a little each day, and I’m finding I’m liking it more and more. I love that a lot of the key performances are all in the actors’ eyes. I loved this movie. It has been a week since I saw it and I am still thinking about it. When those elevator doors closed, it was the physical representation of the death of any possibility of the life and future he could have had with Irene. The look they exchange in that moment..
At parts, I found the music selection heavy handed- I felt the movie was so beautifully handled and nuanced(the only other unsubtle thing was the violence) that the music selection really could have been more subtle. But the acting was amazing. Gosling’s performance was crafted through body language, smiles, nods and the shifts in his posture. Wow. It was incredible to watch. This is the best love story I have seen in ages but given the lack of dialogue and the violence, I am not sure I would suggest it to others. Most of the people I saw it with and those in the theater did not like it. great review, really touched on everything about the movie that appealed to me. amazing cinematography, soundtrack and last but by no means least fantastic performances! I would agree that it is definitely a hard movie to recommend, the violence is stomach churning and the nuances so subtle that it’s a love it or hate it kind of experience. looking forward to awards season, this should be at the top of a lot of lists! 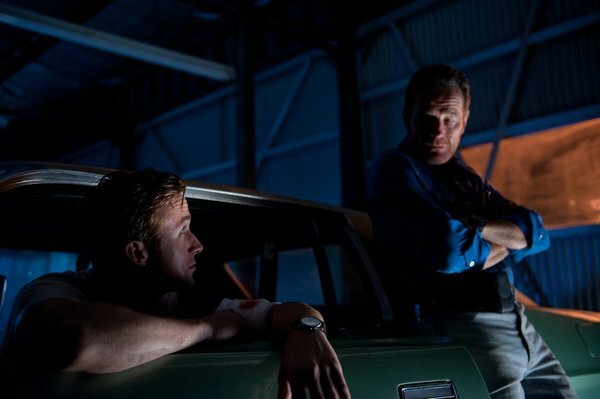 Drive is the best movie I have seen this year. And I’ve seen all the recommended stuff, including all the Oscar bait. This is so stylish in the ‘less is more’ context and the acting is staggeringly good. The violence is good and the suspense is excellent, the music is powerful and the characterization and plot are all top-notch …. but I agree that the part that you carry away with you is the love story. It’s heartbreaking and touching in so many ways.